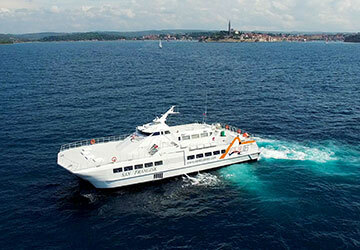 The Venice Piran ferry route connects Italy with Slovenia. 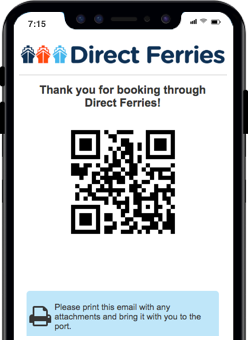 Currently there is just the 1 ferry company operating this ferry service, Venezia Lines. The crossing operates up to 1 times each week with sailing durations from around 2 hours 30 minutes. Venice Piran sailing durations and frequency may vary from season to season so we’d advise doing a live check to get the most up to date information. The Slovenian town of Piran is located on the Gulf of Piran and lies on the Adriatic Sea coast and is regarded as one of the most picturesque and oldest towns in Slovenia. The town was ruled by the Venetians for several centuries and this is reflected in the architecture of its buildings that can still be seen today. The town began to grow in the 7th century and is when it was first mentioned in historical sources. Throughout its history it has been ruled by different cultures although the Venetians perhaps held the most influence. In 1283, Piran accepted the authority of Venice which was maintained until 1797 when the Venetian Republic declined. Following this Piran fell under the control of Austria until 1918. In the period between both world wars this territory belonged to Italy and later to Yugoslavia and then Slovenia. Ferries from the town's port depart to Venice in Italy.